Looking for the best bass drum pedal in 2018? This the article for you! The absolute best bass drum pedal, regardless of price. Each pedal is reviewed in detail, and we tell you exactly why it stands out from the competition. 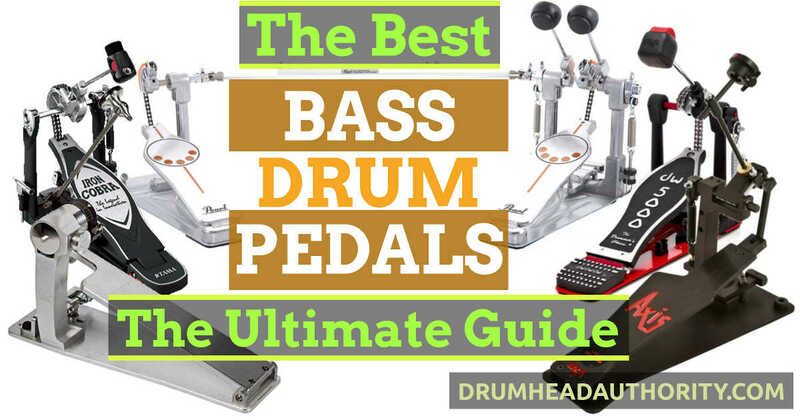 PLUS, there a bonus bass drum pedal buying guide further down the page, covering the most important factors affecting how a pedal feels and plays: Get your head around bass drum pedal footboard styles, drive types, and cam shapes. All of these things will change the feel and movement of a pedal, so we’ve covered these things to help you find the best pedal for your feet. Why is all of this important? Well, it’s vital to have a great pedal, because it’s one of the most important pieces of drum gear you’ll own. Along with your snare drum, your bass drum gets more use than just about anything else, so make sure you have a good pedal (and good technique!). Read our article reviewing the best bass drum pedals of 2018 now.